The Tasmanian Hotels Association has described the Commonwealth's move to increase the tax on ready-to-drink spirits as a quick fix for a complex problem. The Federal Government has raised the tax on pre-mixed spirits by 70 per cent, saying it will help curb binge drinking by teenagers. But the association's state manager, Steve Old, has said the plan probably will not work. 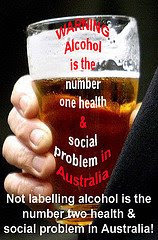 "We don't want to see young kids getting into trouble with alcohol, and we want to sit down with the government, but at this stage we've been put at arms length and the government has said 'we'll solve the problem, we know how to fix it'," he said. "Well I'd argue that they don't, and they'd probably be best to sit down with us and work through it."